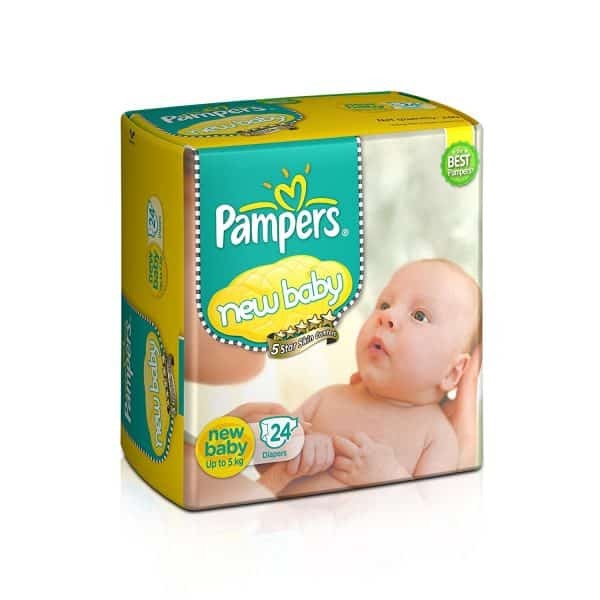 Pampers New Baby Diapers are soft and comfort fitting diapers have stretchable sides and are best for your baby’s rest and playtime. This magic gel core of Pampers diapers is highly effective in absorbing frequent wetness. One of the most important requirement for babies. 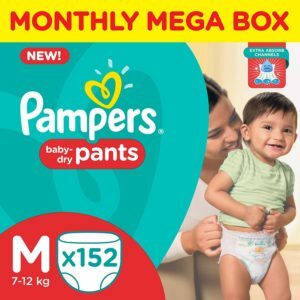 This pack of diaper that lessen the stress on the mother while keep the baby happy and comfortable.The diaper is allow your baby sleep .The night despite instances of bed-wetting and it soaks up.Even if the baby pees into the diaper then moisture does not stick to the baby’s bottom as it comes with an extra dry layer..